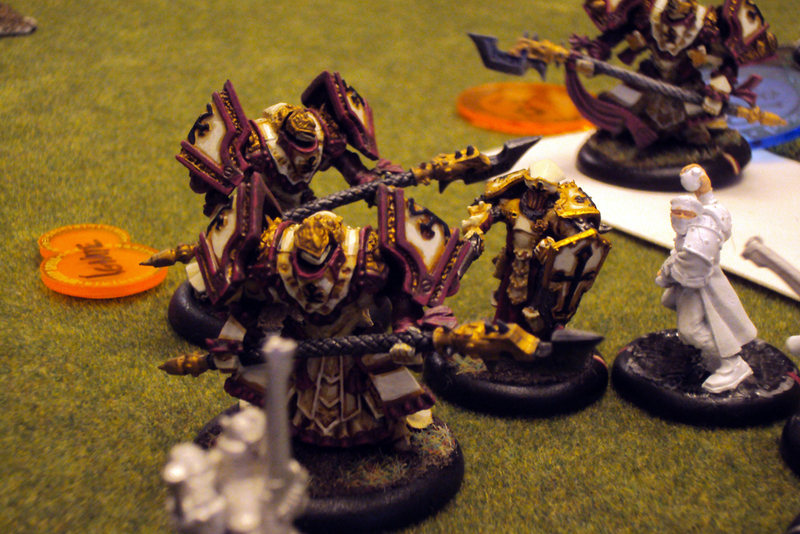 This week on the podcast we present a battle between my forces of Mercenaries and Marc’s Menoth. We are back to 50pt games now that we are no longer practicing for the Southern Ontario open 35pt Tournament. It’s nice to be able to take ALL THE THINGS again. 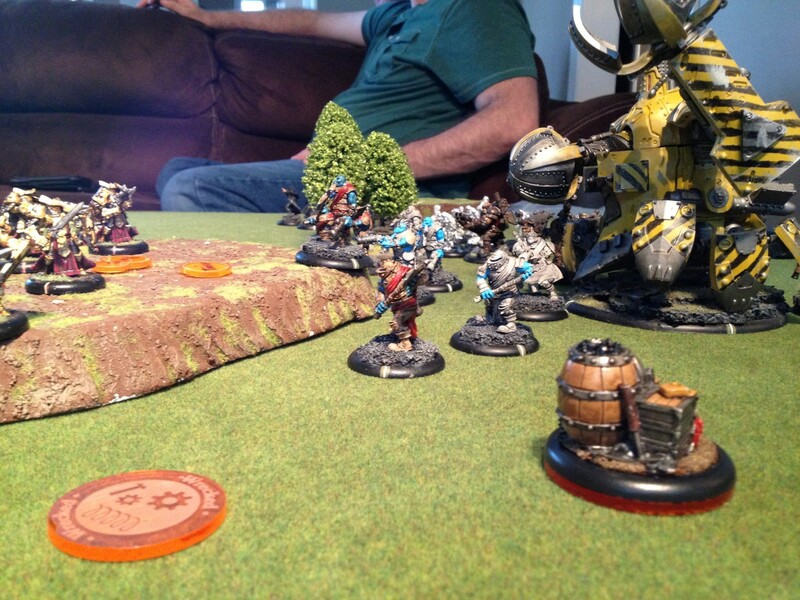 This week saw the first match up between my Menoth and Aaron’s Khador. Before you get too excited, I have to admit that I was proxying my warcaster for this game… although it may LOOK like eFeora, I was actually playing her prime counterpart. The reason for the substitution is simple: I own pFeora, but she as of yet unassembled and unpainted. So I figured that this would be an acceptable compromise (although it DID get me in trouble at one point during the game… we’ll get to that!). Aaron, for his part, was fielding Vlad2 because of list-chicken… he had a Strakhov list, packed full of fire-immunity, but he was worried about how it would perform against my less-fire-dependent Reznik list. More accurately, he put it together to psyche me out of using fire-weapons because he wasn’t really sure at all that it would *work* as a list, and therefore he could bring his more flammable Vlad2 list free of fear! Let’s find out how that worked out for him, shall we?